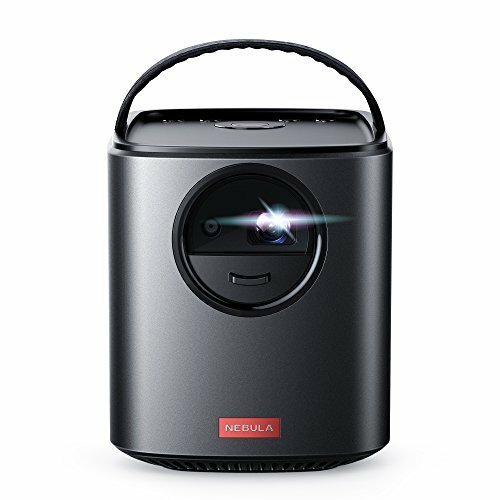 Nebula is preparing to release their fourth portable projector of the Mars series... take a look! Sensational Clarity: Experience your favorite content in a whole new light. 500 ANSI lm brightness and 720p DLP IntelliBright technology combine to create a crisp, clear picture. NOTE: Copyrighted content from Hulu, Netflix, and similar services CAN NOT be mirrored or screencast. Download and use the apps directly through Mars II Pro to view copyrighted content from these providers. Chromecast is not supported. Pricing and Availability: Nebula’s Mars II Pro will be available to order soon via Amazon US. Feel free to speculate on how much you think it might cost. Are you interested in Nebula's latest addition to the Mars series? Let us know your thoughts with a reply down below! No, you may very well be closer than me! So disappointed to see 720P. With the rise of 4K and how widely accessible it is nowadays, 1080P should be the minimum resolution output for the projectors. People calling for 4K need to take a look at the price point of native 4K projectors and the fact this is marketed as a PORTABLE projector for occasional ad-hoc use in non-optimal viewing conditions. Frankly, 1080p would be overkill too. 720p is just about right. The shame with this release is that the brightness of 500 ANSI lumens is no better than the original Mars I product. So based on some responses this Mars II Pro is not worth its weight. I agree that a higher lumen output would add much, higher resolution as well. The killer is the copyrighted content can't be mirrored and I saw there was an issue with the Netflix app hanging up after 30 min on the other projector. Wonder if this got resolved? I think we’re still a ways away from 4K becoming the norm. 1080p and a much higher lumen count would be nice, though. Did you contributors get a high quality product yet? Some have. I have yet to claim one.